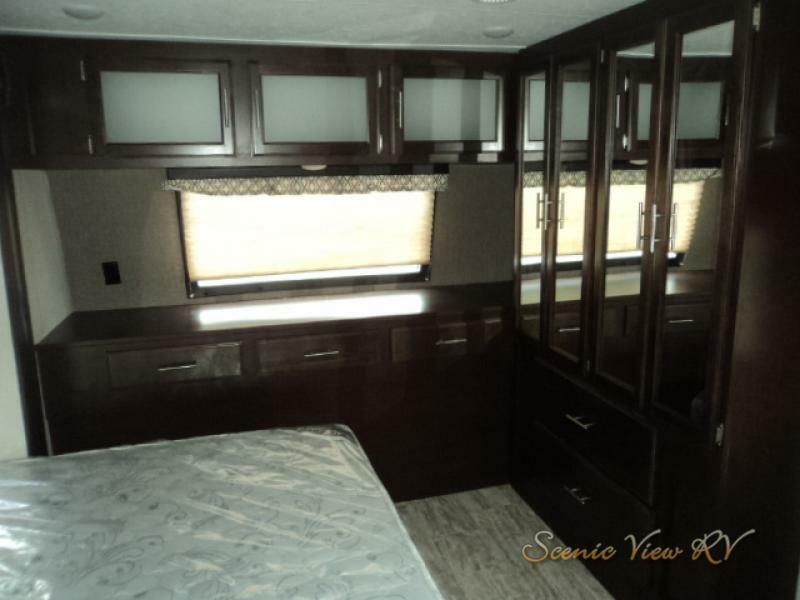 At Scenic View RV we know the value of finding an RV that is both practical and luxurious. That’s why we love the KZ Spree travel trailers for sale right now! 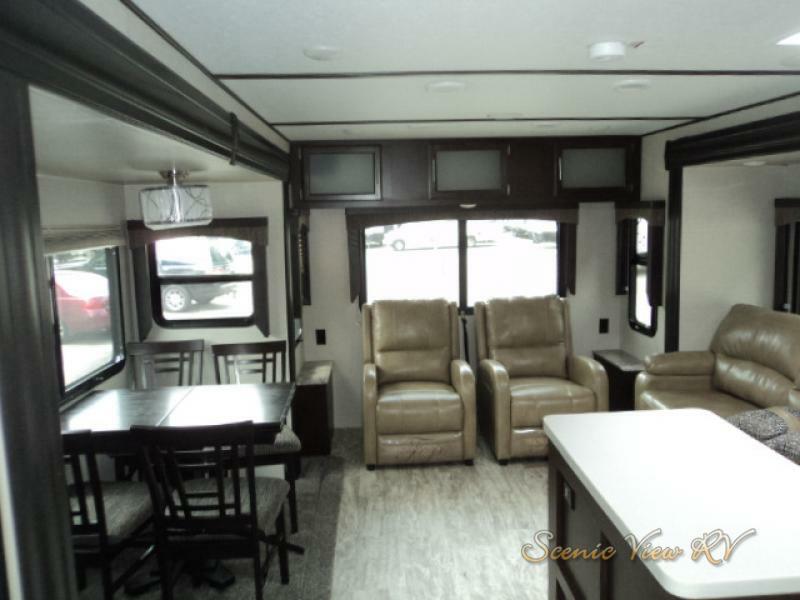 These travel trailers are spacious, high-quality, and feature everything you need to make the most out of your next camping trip. Don’t miss this KZ Spree travel trailer review which will show you some of the best features of these incredible travel trailers. 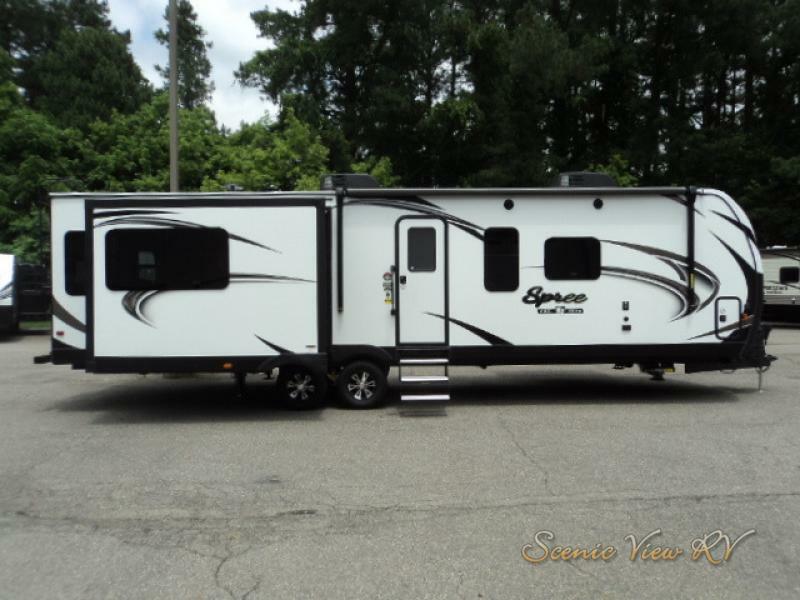 Find more KZ travel trailer and fifth wheel for sale at Scenic View RV. Get a fantastic night’s sleep anywhere you go with the pillow-top king bed in the private master bedroom which features a gorgeous headboard and spacious under-bed storage. You’ll love the massive wardrobe for all your things and the large dresser with plenty of space for a TV on top. If you need extra sleeping space for the kids, there’s a hide-a-bed sofa that allows you space to sleep up to five campers. With this much storage space, you’ll never have to leave anything behind. In the mornings, before you’re ready to head out fishing, or mountain biking, or to spend a day on the lake, you can enjoy a hot cup of joe in the living room which features dual opposing slides to maximize the space. The luxurious push-back recliners are the perfect place to wind down at the end of the day and catch the game. You’ll love all the natural light from the windows and the privacy shades at night. The table is ideal for family dinners or a quick game of cards. This beautiful kitchen features stainless steel appliances, a large kitchen sink with high-rise faucet, plenty of cabinet space and an island for all your prep-work. You can even bake cookies at the campground in the oven, or fry bacon on the cooktop. You’ll love the addition of the skylight in the kitchen, which allows all the beautiful, natural light to fill the kitchen while you cook. 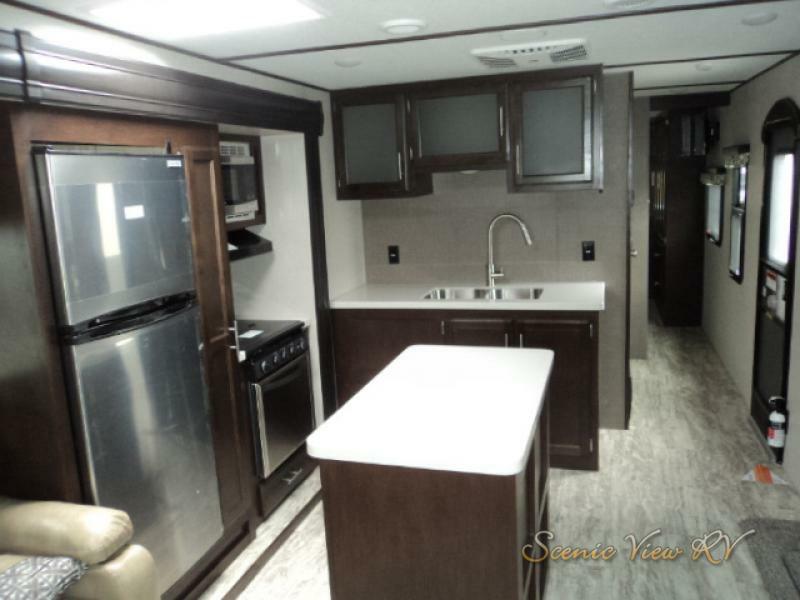 This KZ Spree travel trailer is so luxurious you may never want to go home! What are you waiting for? Don’t let this opportunity pass you by! Contact us today and take home a KZ Spree travel trailer for an amazing price!